Over the weekend, Richard Nnadi and Chioma Nwakwesi set the whole Lagos ablaze with their society traditional wedding -#richi2019. The entertainment CEO and bestie to actress Tonto Dikeh wed his beloved in a beautiful wedding ceremony that had many entertainers and socialites in attendance. The likes of Don Jazzy, Tiwa Savage, Falz TheBahdGuy, Noble Igwe and a host of other big industry names stepped out to celebrate this beautiful union even in the midst of the presidential rally. With a society wedding like this whose invitation list featured some of the most popular names in the country, it’s little wonder that their wedding indeed broke social media. 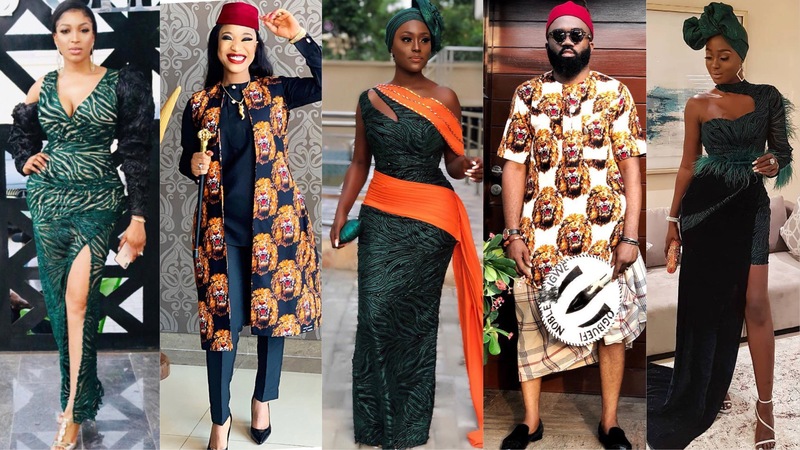 But it was the guests who were responsible for most of it as they stepped out in some of the hautest aso ebi styles we’ve seen in a minute and we’ve got our picks!